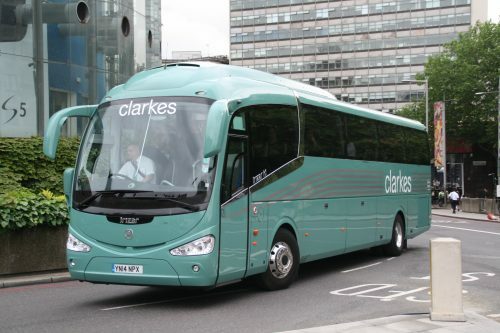 National Express (UK Coach) has completed the purchase of Clarkes of London today (Friday, December 16). In a statement, Ian Fraser, Managing Director of The Kings Ferry & Clarkes of London said: “This is a really exciting time for both the Clarkes of London and National Express teams as we join together to strengthen our service offering to customers. “It will be business as usual for corporate and private hire customers as well as the Clarkes team. There are no changes to service delivery, contracts or vehicle specification. Your contacts within the Clarkes of London team remain the same and you are able to get in touch with them in the normal way. “Customers who are familiar with National Express will know that they already operate award winning private hire and corporate services through The Kings Ferry Ltd. The addition of Clarkes of London will allow us to further enhance our offering and continue to deliver improvements offering value for money and excellent customer service. National Express (NX) has confirmed the vehicle fleet is included in the deal.